Speaking up for yourself to your teacher, coach, parents or friends is the only way you get what you need in life – no one can read minds! When you need to advocate (speak up) for yourself, it helps others understand your strengths and weaknesses too! Speaking up for ourselves not only helps us succeed, it also shows you are engaged and proactive! Personally, I think this is the most important skill ADDYTeens need to learn to master. It's like a Free Throw in Basketball - you have the court to yourself, no one is blocking you, and you have plenty of time to prepare. 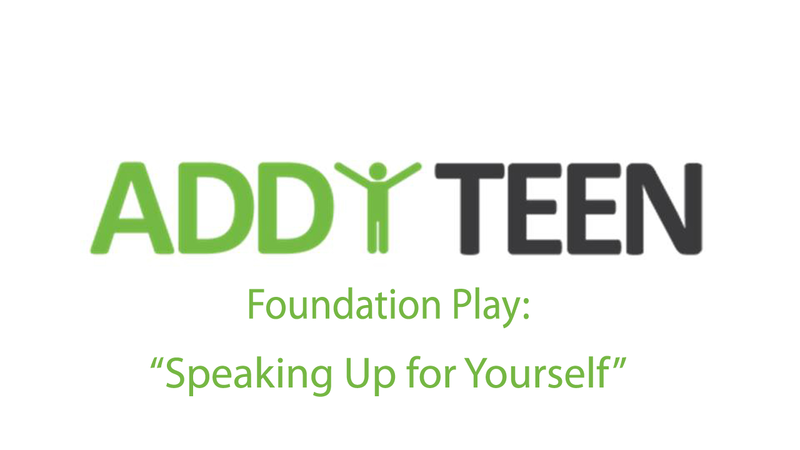 For ADDYTeens, learning to speak up for what you need is very important because often times we need a little extra support. There is nothing wrong with asking someone for help.